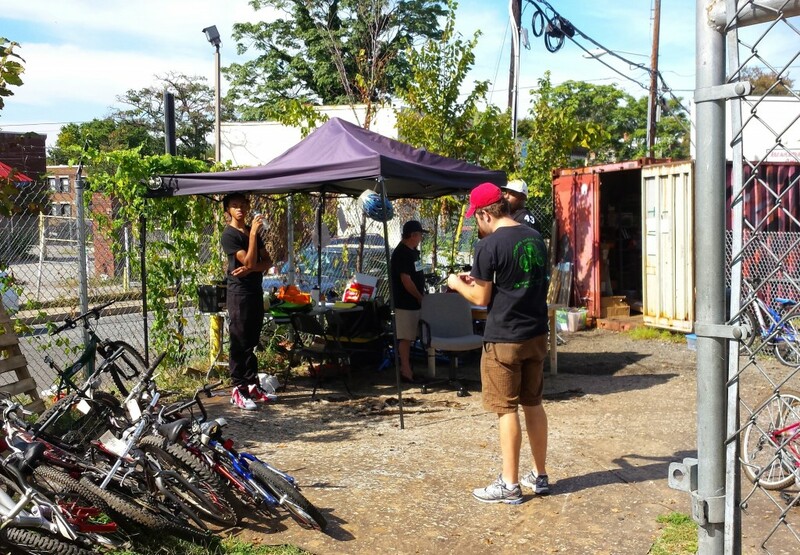 Some Véloteers had a chance to hang out with our buddies over at Gearin’ Up Bicycles in DC recently. They’re doing some great stuff in the District and we’re looking forward to seeing their new permanent location, where they’ve got a grand opening planned for November 1st. 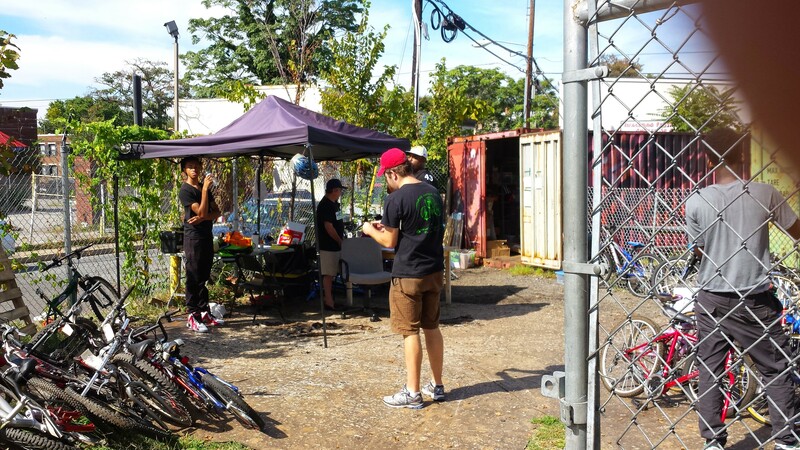 You can learn more about Gearin’ Up at gearinupbicycles.org. 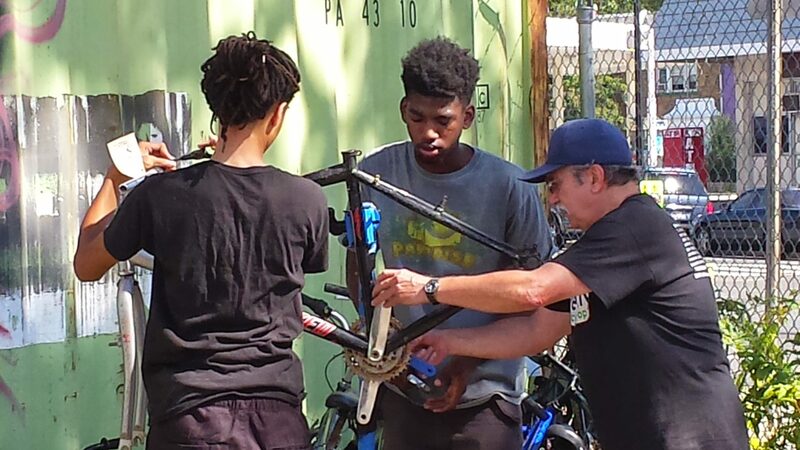 Gearin’ Up volunteers Brandon and Chauncey work on a bike with Véloteer Nick. Brandon and Nick take a break in the shade, Véloteer Bayley checks his email. 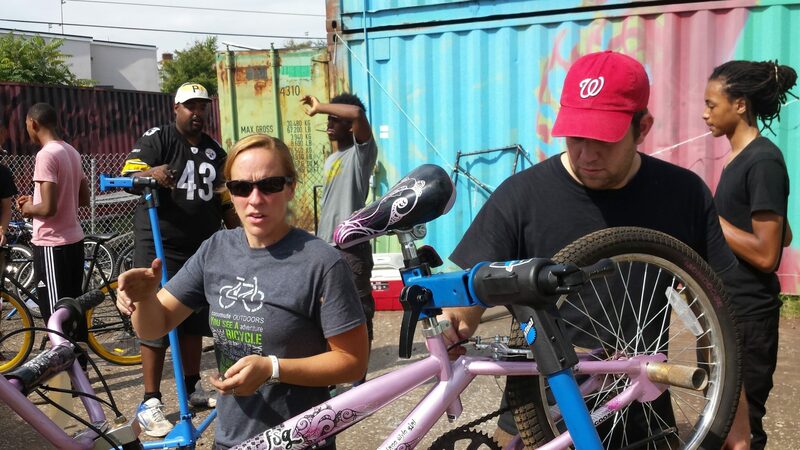 Gearin’ Up co-founder Katie Lupo helps Bayley fix up a sweet looking ride while Sterling and Chauncey discuss strategy in the background. Until they move (see above), you can find them at 1200 Bladensburg Road NE. They are open from on Thursday-Saturday from 1-7pm, and on Sunday from 1-5pm.